Heat the oven to 375 F. In a mixing bowl combine the breadcrumbs, 1/2 tablespoon rosemary & thyme, 3/4 cup Asiago & butter. Add 1/2 teaspoon salt and some fresh ground pepper. Press into a tart dish that has been sprayed with cooking spray. Bake 12-15 minutes until nicely browned. Remove from oven and set aside. Heat oven to 425 F.
Meanwhile, in a medium skillet sauté the onions and mushrooms in a little extra virgin olive oil for 25 minutes until caramelized. Season with salt, pepper and some fresh rosemary & thyme. Spread the baked tart with the caramelized onions & mushrooms. Lay the tomato slices on top; brush with a little extra virgin olive oil and season with salt, pepper and remaining rosemary & thyme. Bake at 425 F for 20 minutes. Remove from oven and sprinkle with 1/4 cup shredded Asiago cheese. Place back in the oven and allow cheese to melt. This recipe has been shared on Senior Salon, Throwback Thursday, Funatastic Friday, Fiesta Friday, The Pin Junkie and Saucy Saturday…go check it out and then visit some other great sites! 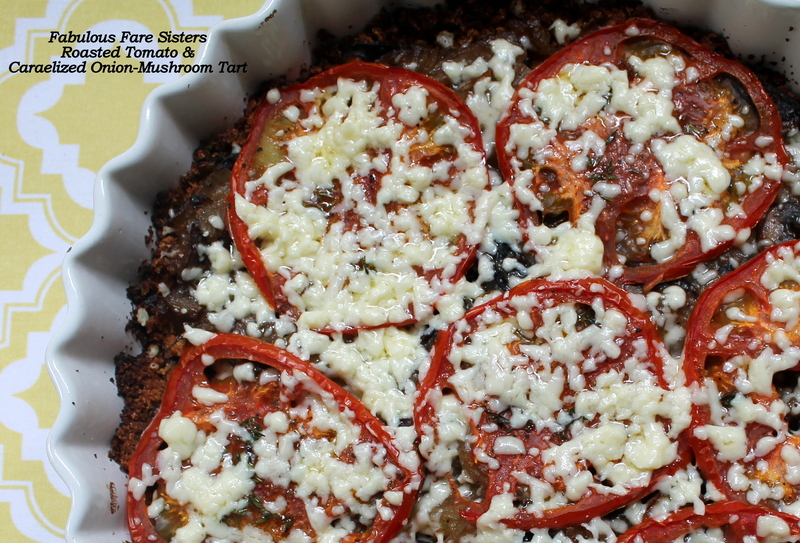 As soon as my garden tomatoes finally turn red, this recipe needs to happen! Sounds like a lovely summer recipe. Thanks for sharing on Fiesta Friday! Oooh yum, I can’t wait for our tomatoes to ripen! Glad you liked that little nugget of knowledge Linda! This is one beautiful tart Linda! This looks delicious & perfect for summer !!! I bet the juices from the onions and tomatoes run into the crust don’t they?? 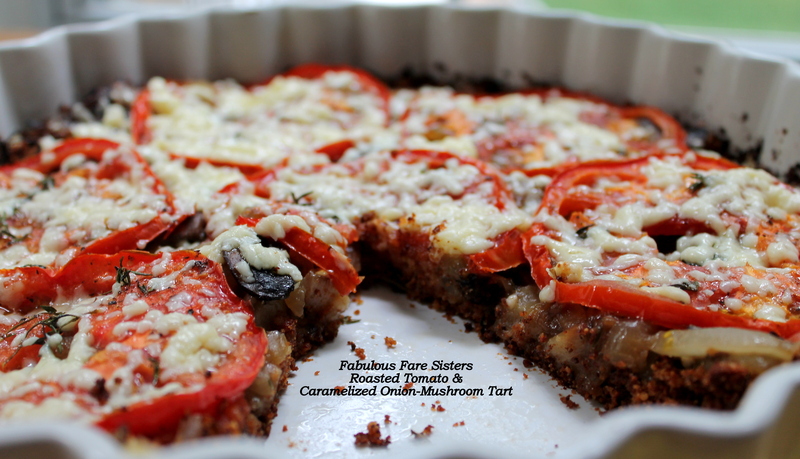 When I read it I just imagined the crust soaked with juices….yum!!! I caramelised onions to make your dish this morning…and ate them all!!! oops! They are!! And the pan was right there as I ate my lunch! Light dishes like this are prefect for hot summer days like today. Your’e right, this is such a great light meal for summertime. Tomatoes need more love like this, heehee!